At Meier & Associates, we provide a broad range of legal services to individuals and small businesses throughout Northeast Oklahoma. As a full-service law firm, we aim to provide you with sound advice and skillful representation any time you are faced with a legal matter. Contact our law office in Tulsa for a comprehensive assessment of your case and your available options. Your initial consultation with our lawyer is free. 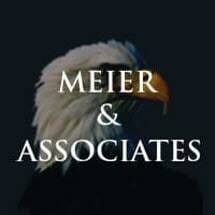 At Meier & Associates, we approach each case with meticulous preparation. We make sure that we know all the facts, have all the necessary documents and analyze all the variables. We strive for the highest degree of professionalism at all times. When you come to our office, you'll speak personally with a lawyer who will make you feel at ease. Once you speak with our attorney, you'll be confident of our ability to safeguard your interests. If you face a pressing legal problem, your best first step is to hire an experienced lawyer. Contact Meier & Associates in Tulsa, Oklahoma, to speak with a full-service lawyer you can depend on. Your initial consultation is free.